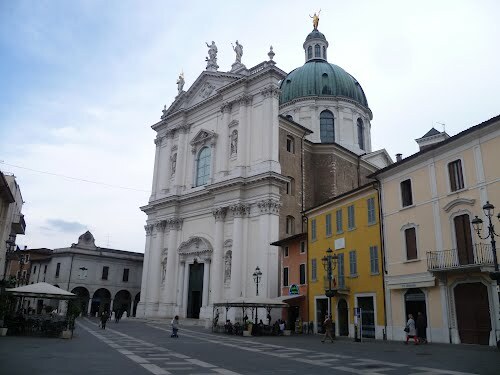 The Cathedral of Montichiari is an estimable work of the Lombard eighteenth century . 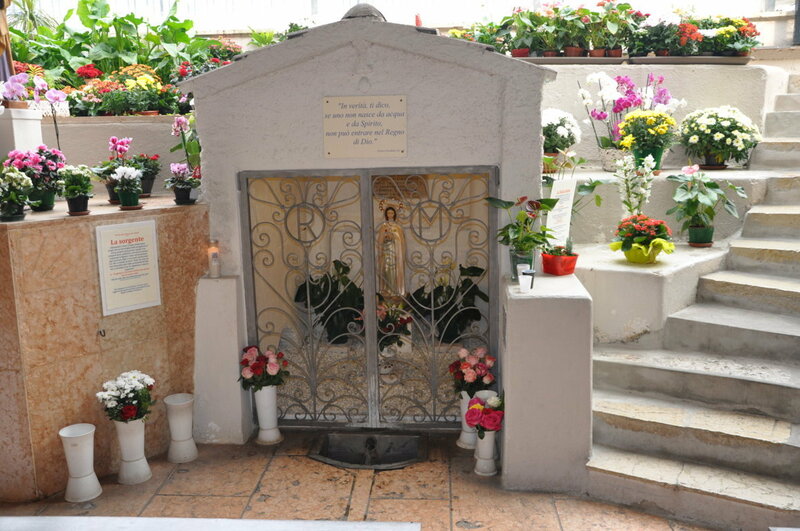 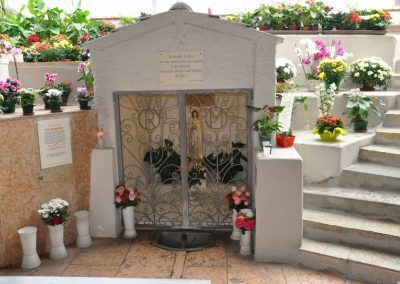 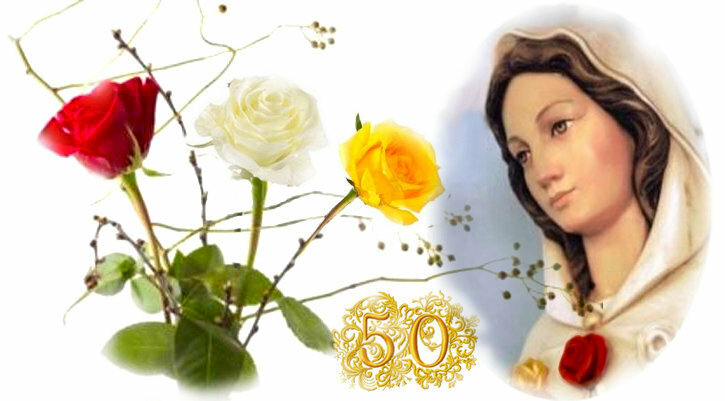 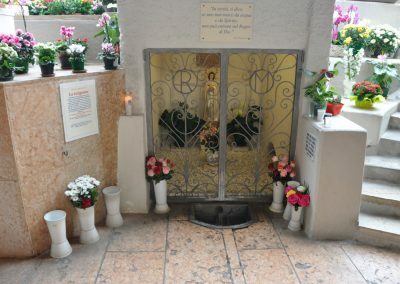 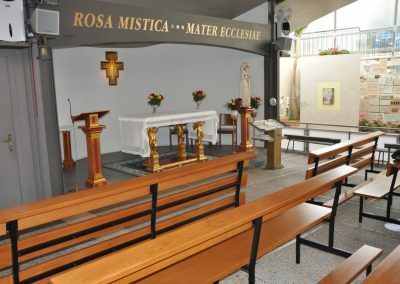 Rich in history and art, dedicated to the Lady of the Assumption, it would have been the place of the presumed apparitions of Rosa Mystica for four times in 1947, the most important on 8th December, feast of the Immaculate Conception, when the devotion of the Hour of Grace would have been asked. 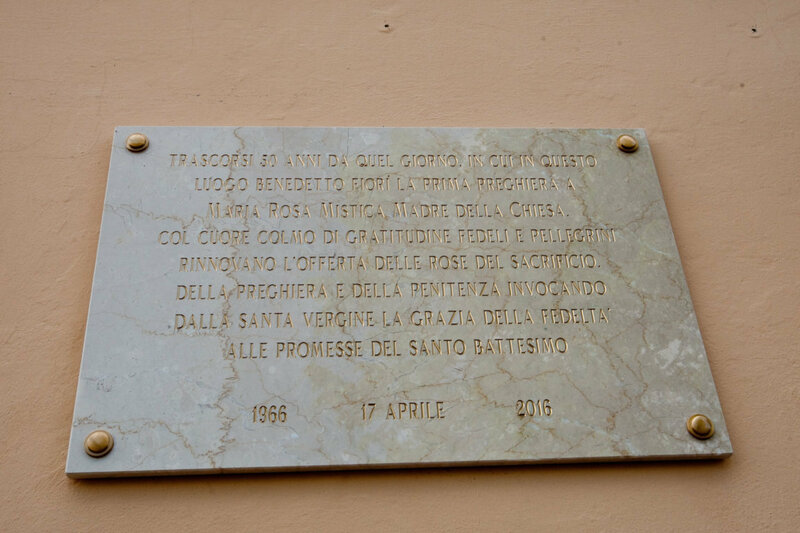 The cathedral became an Abbey thanks to Pope Paolo VI, and represents one of the fundamental places for the development of the pity and faith of the town. 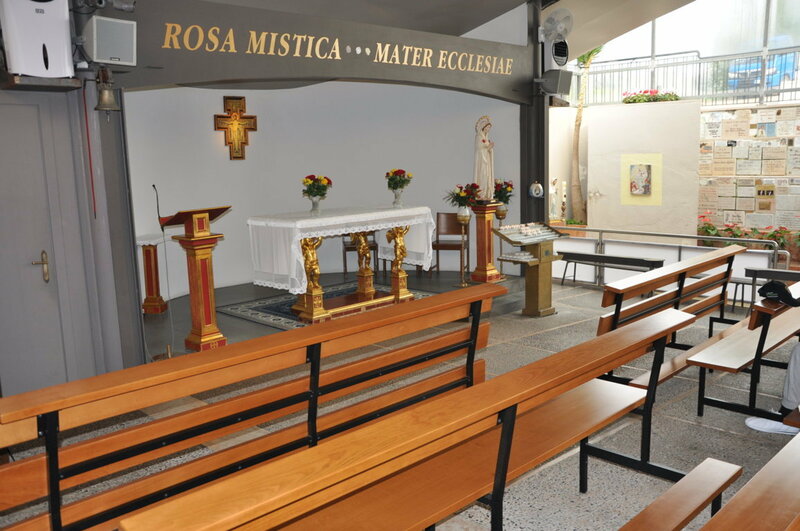 Attracted by its beauty, by the charm of its harmonic architecture, by the several works of art and, above all, by the wooden statue of Mary Rosa Mystica, engraved on his knees by the artist Perathoner from Upper Adige. 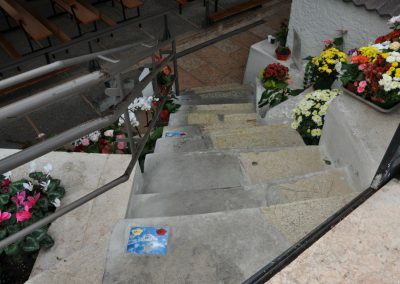 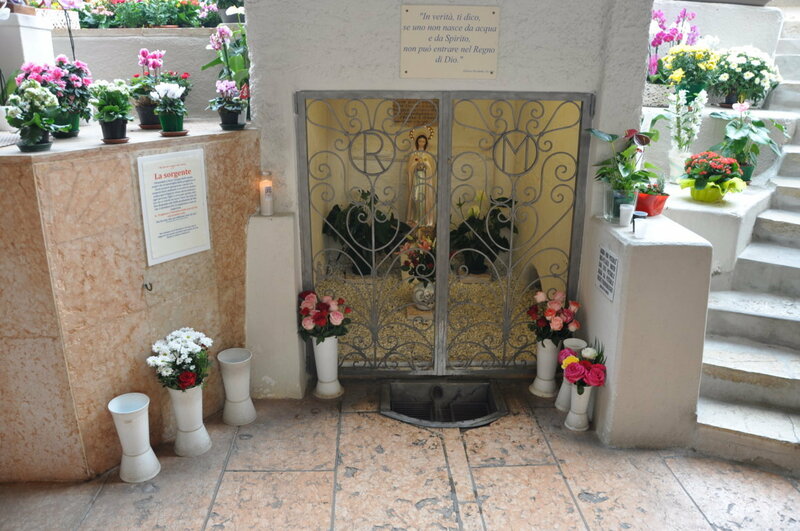 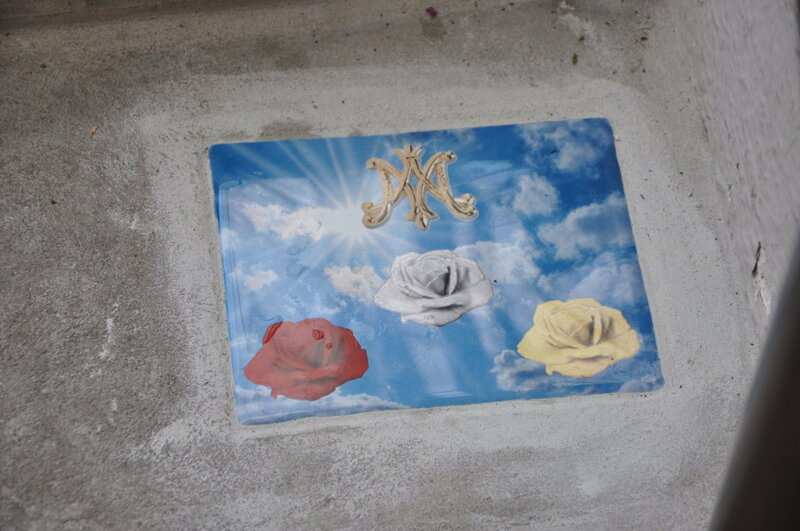 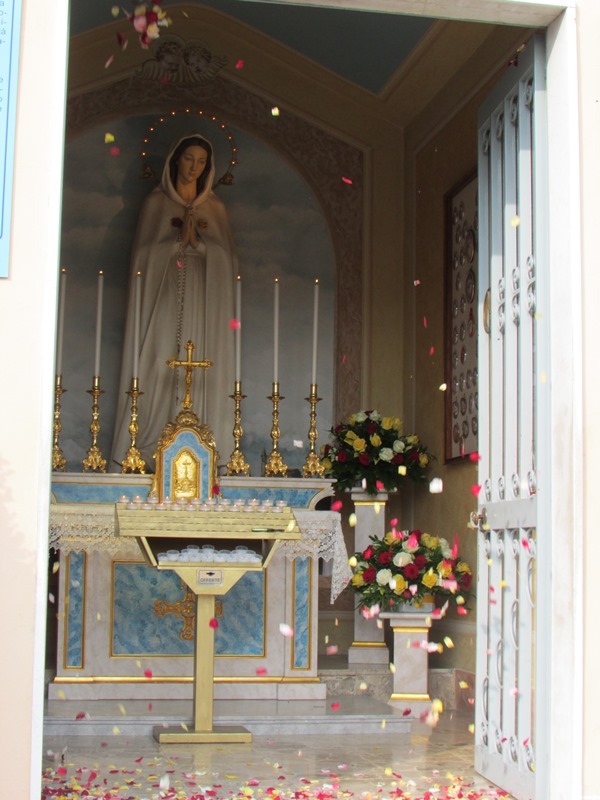 The Virgin Mary descends the staircase strewn with roses, symbol of the graces She spread on the faithful. 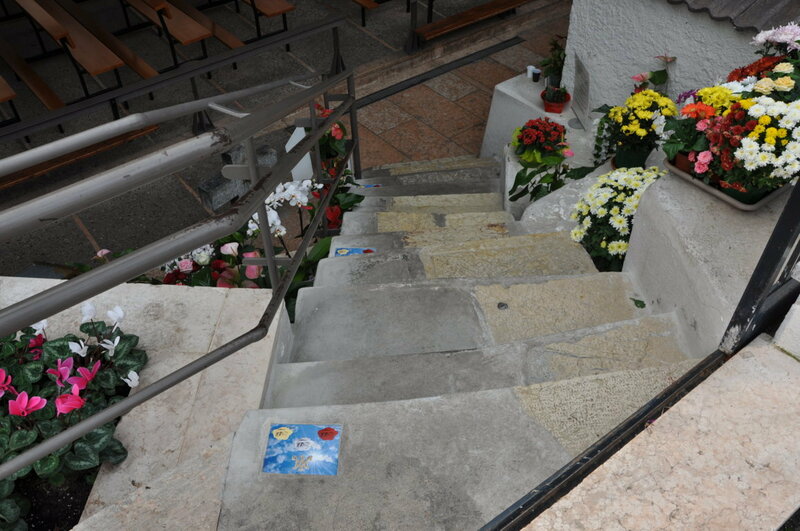 In the heart of the historical centre, the cathedral is in an optimal position to be reached. 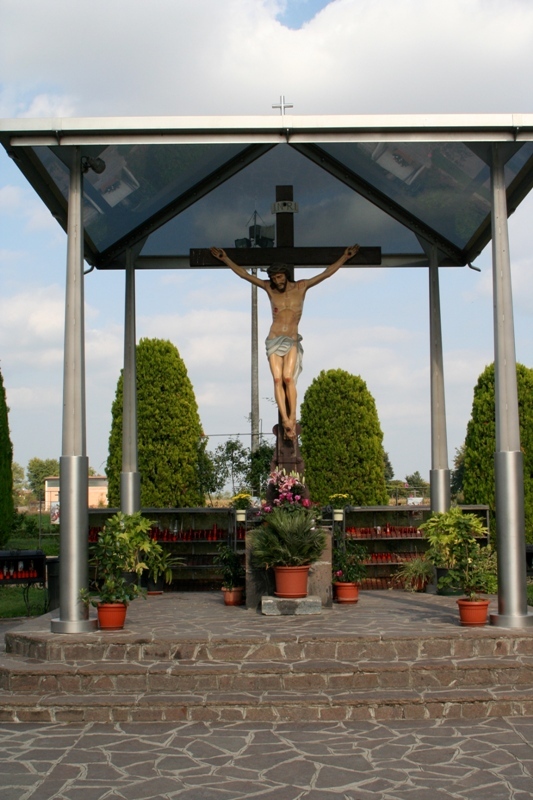 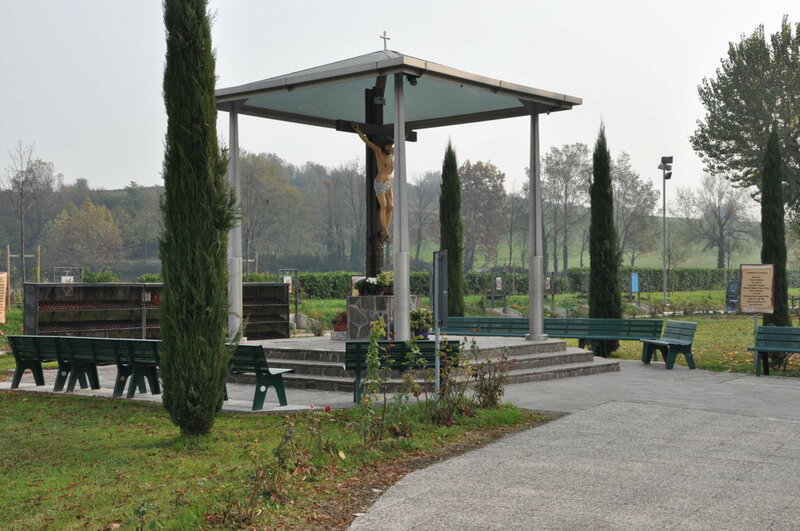 Fontanelle is a place in open country, three kilometres far from Montichiari. 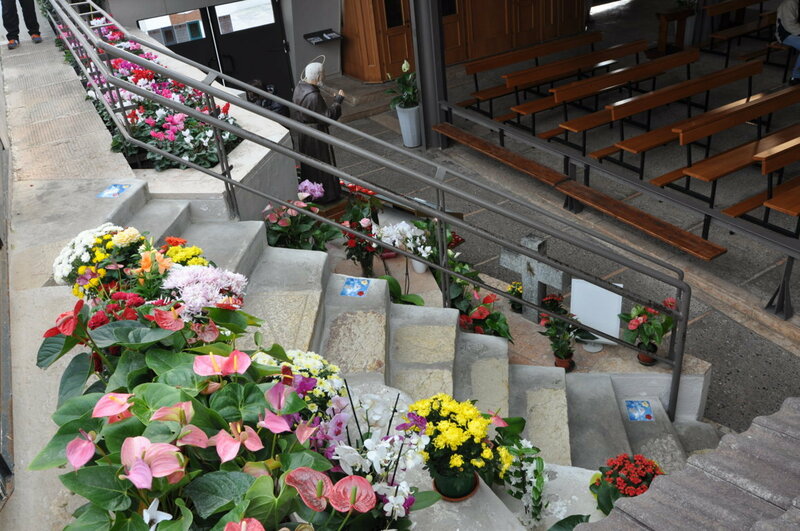 Its name comes from the little springs which flow in this place. 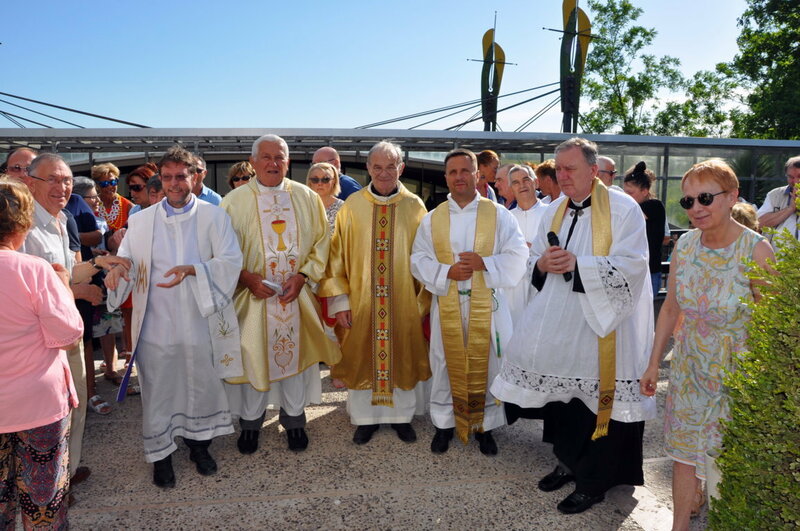 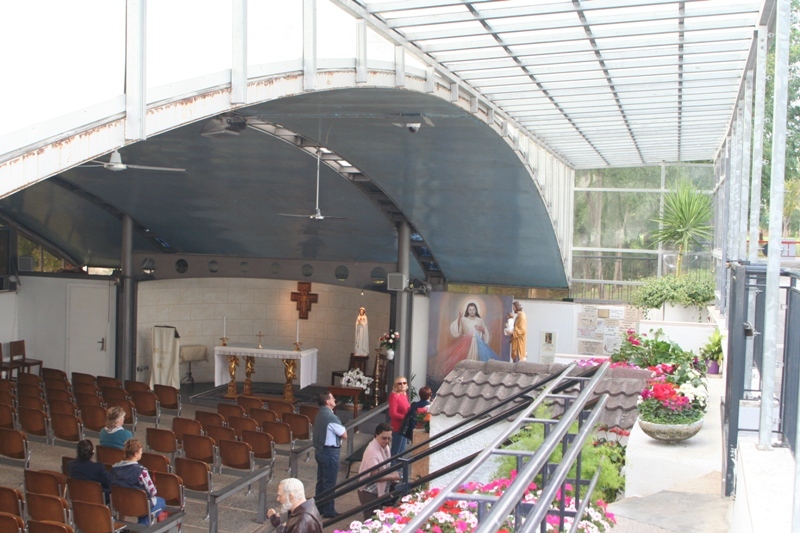 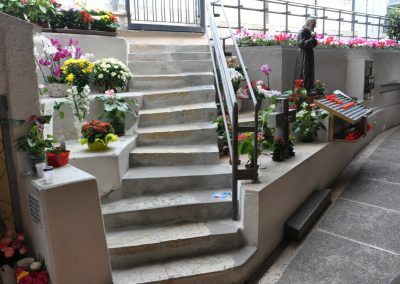 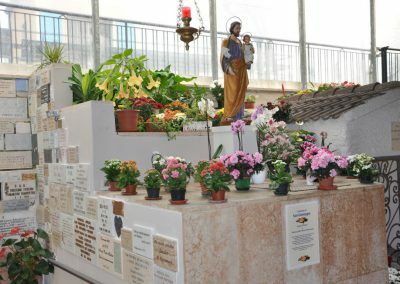 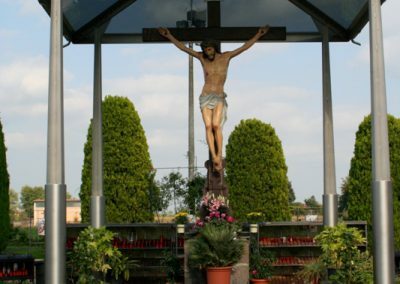 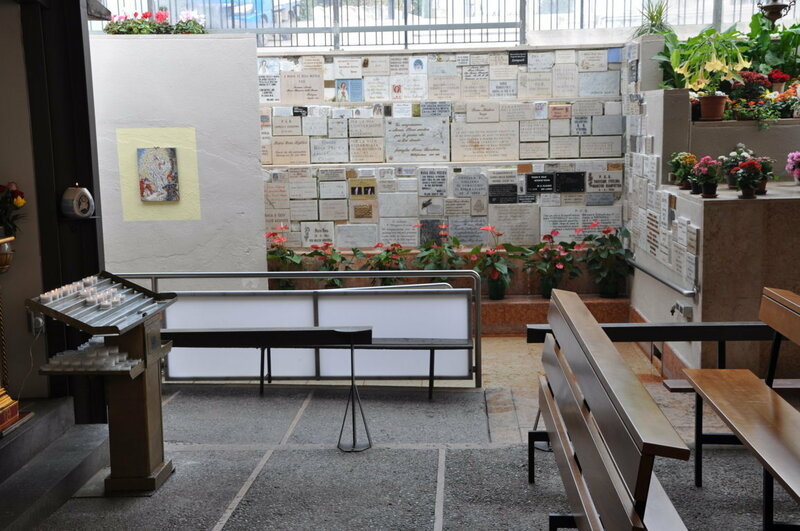 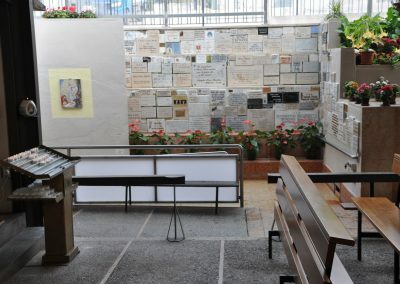 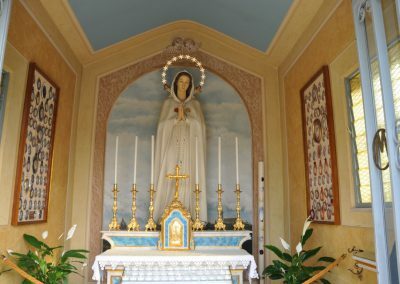 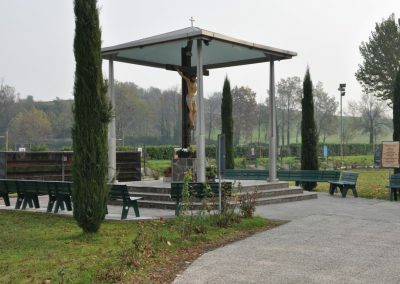 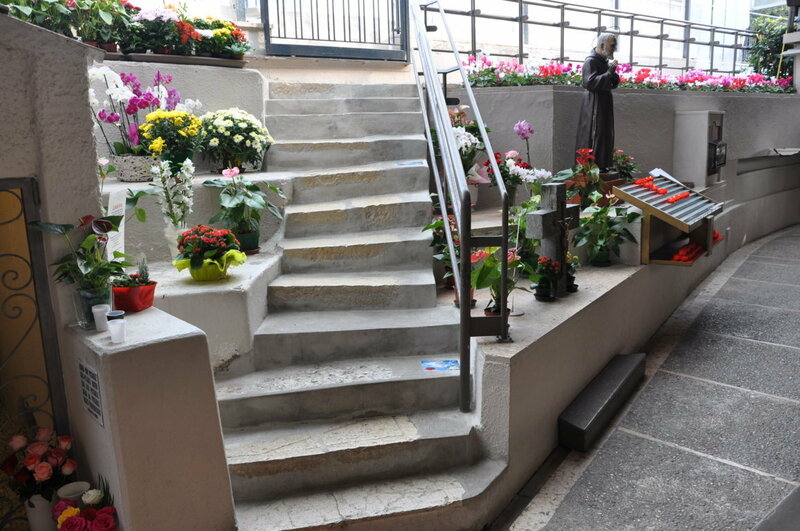 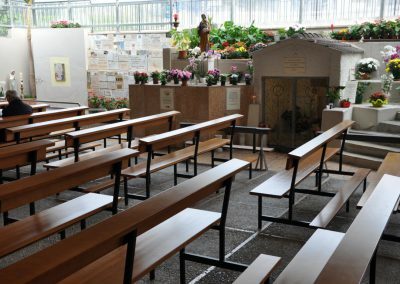 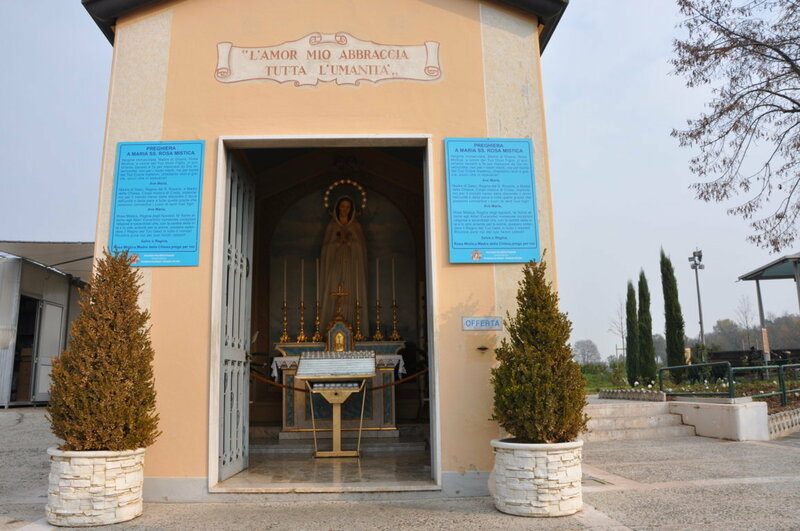 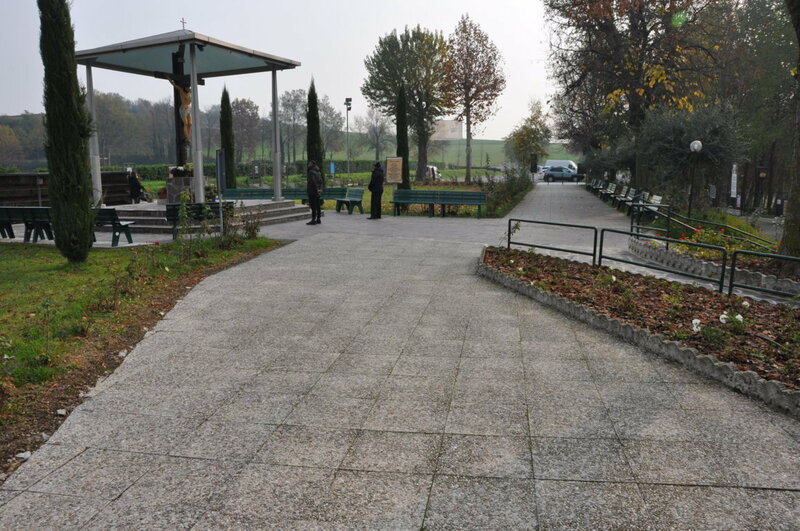 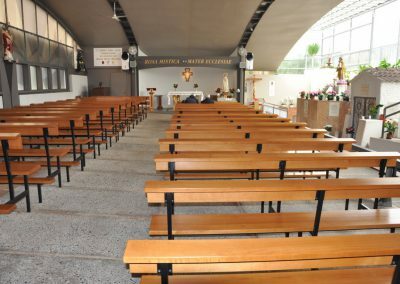 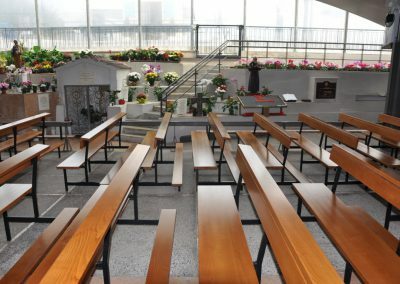 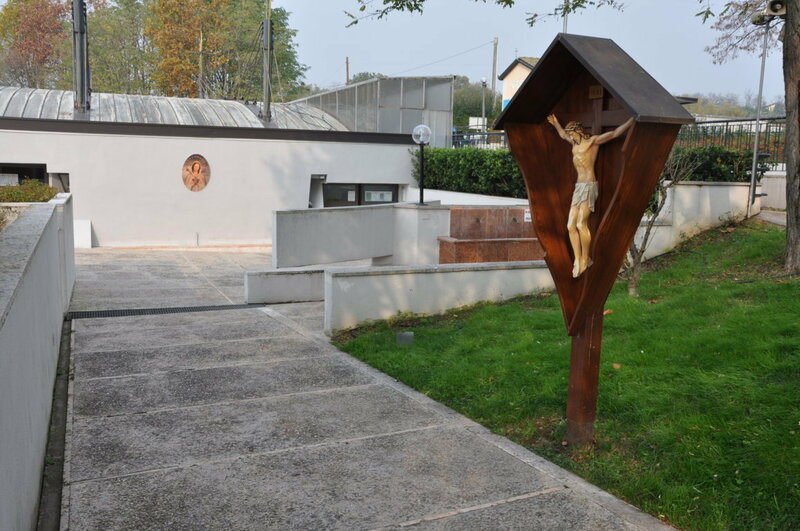 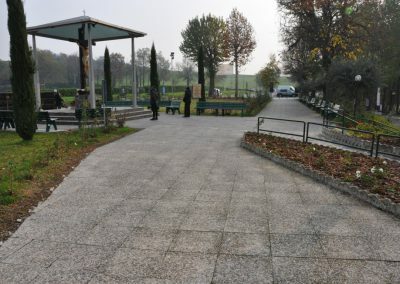 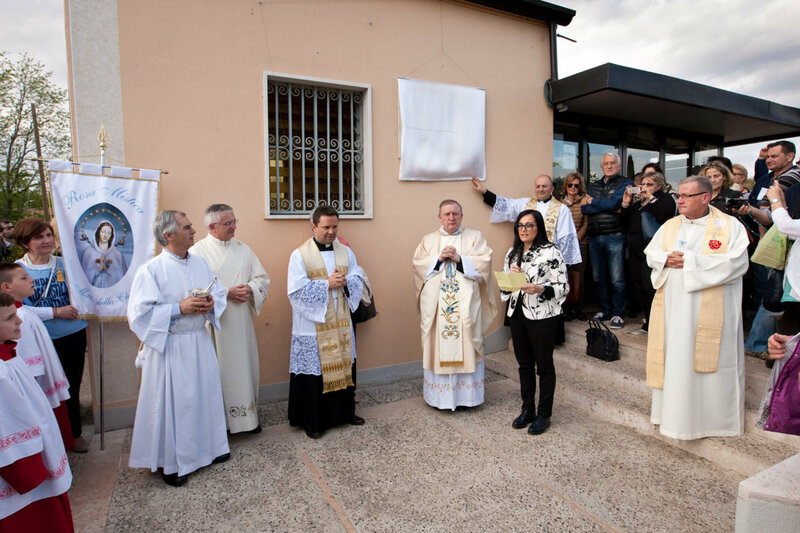 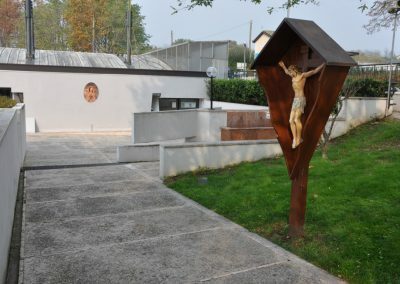 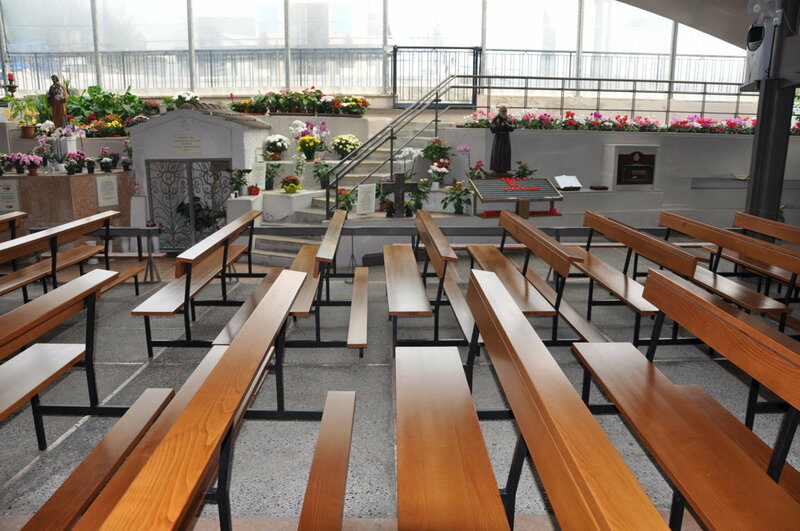 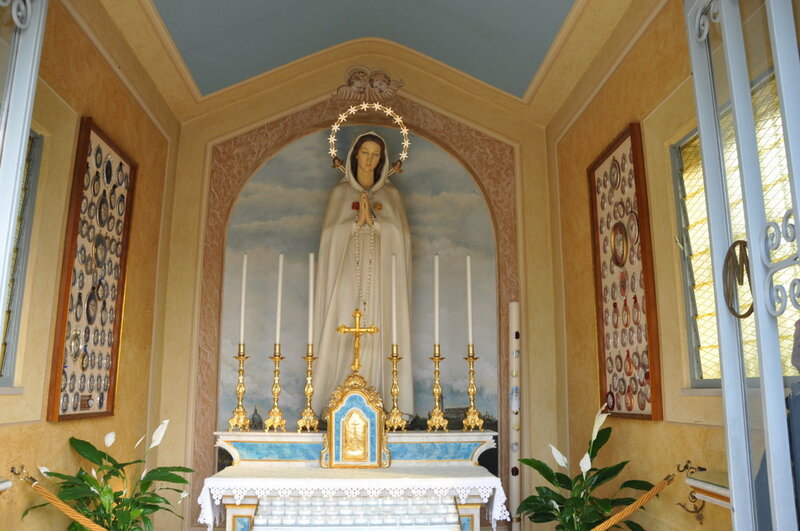 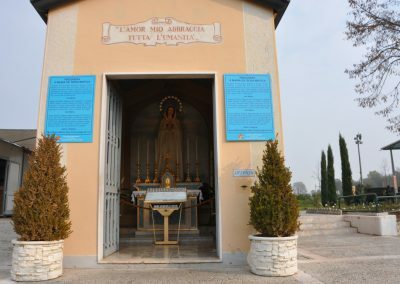 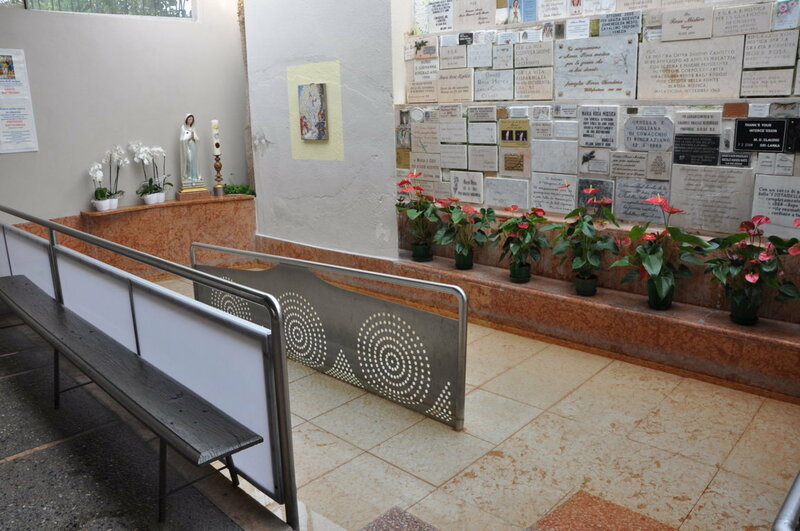 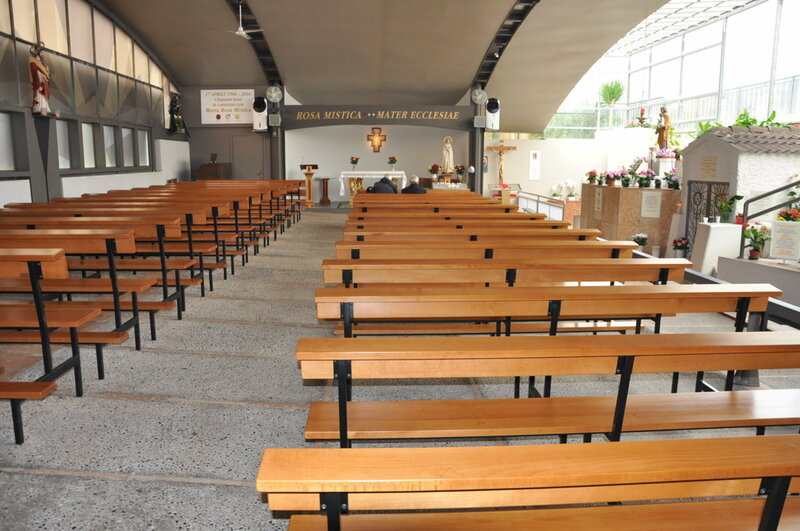 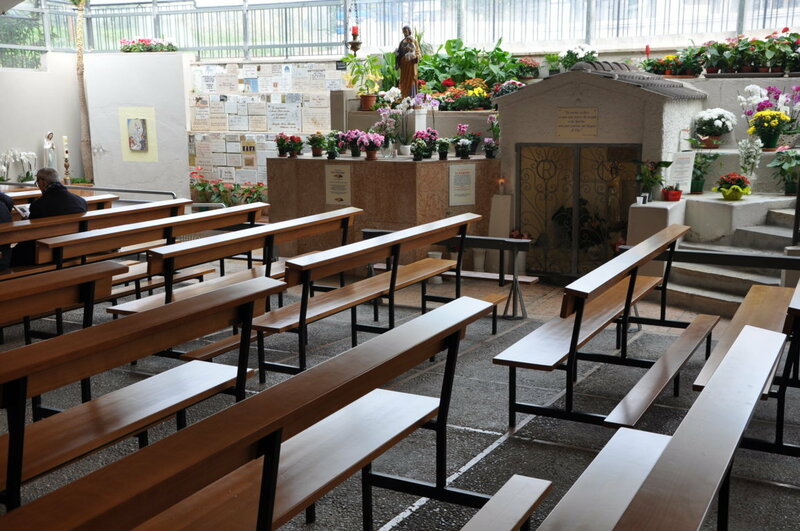 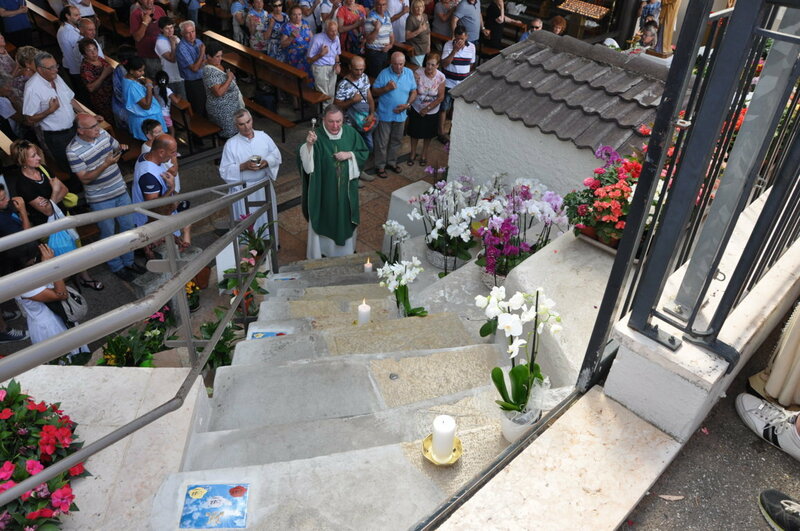 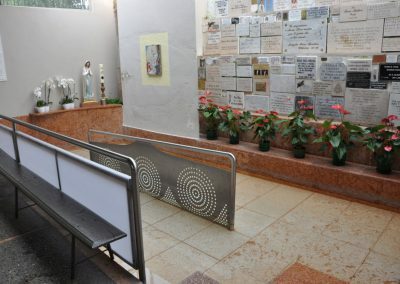 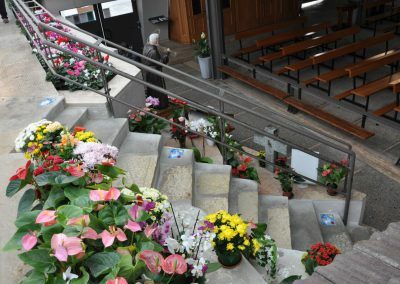 Thanks to the intervention of the Diocese of Brescia and to the commitment of many lay volunteers, Fontanelle became a place of worship and Marian devotion, where the pilgrims can restore their souls and meet the God’s Grace.